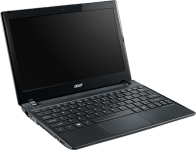 Acer’s TravelMate B113 series are designed with education in mind. They aim to add value to a classroom with a smoother learning experience. Its firm and sturdy structure make them durable and easy to work with for all age groups. With a smoother performance and functionality, it is ideal for various education-based activities. Upgrade your Travelmate B113 Series Notebook with a ram upgrade from the list below for added brilliance.